"Let us more and more insist on raising funds of love, of kindness, of understanding, of peace." Your time can change someone's life for the better. Investing your time to improve the life of someone else is one of the most powerful gifts you can give. 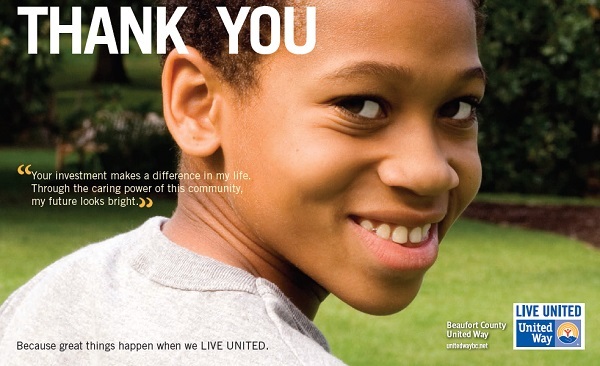 And volunteerism is the heart of the Beaufort County United Way's mission of "Neighbors Helping Neighbors". 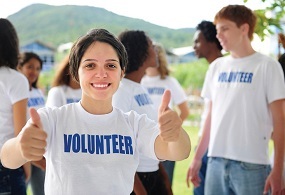 Volunteers are a crucial part of the operations of any nonprofit organization. Volunteering comes in many forms, and finding volunteer opportunities that work within the context of your schedule is easy. You can give an hour or a Saturday afternoon. You can give knowledge, a special skill, or a talent. You can help children with schoolwork, assist at a local hospital, coordinate a group to participate in a community improvement project, deliver meals to homebound seniors, or help out at a local food pantry. For more information on how you can give your time, contact Beaufort County United Way or any one of our community partners. Open your heart. Lend your voice. Give your time. Invest your money. Let's reach out a hand to one, and influence the condition of us all.